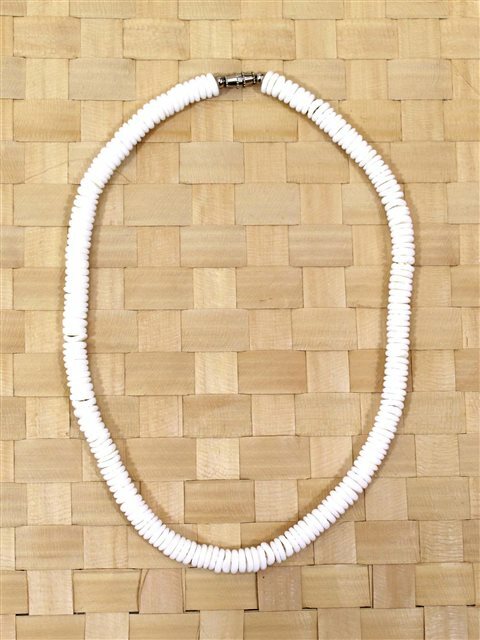 This bright white necklace is made of natural Pukalit shells. Its name "Pukalit" is from "puka (hole) little." It matches very well with any dress! they were smaller than my original necklace but for $5 I can't complain. I love the necklace! So retro chic!